In this Inside Sponsorship episode, we go inside Joachim Lange’s sponsorship industry experiences. 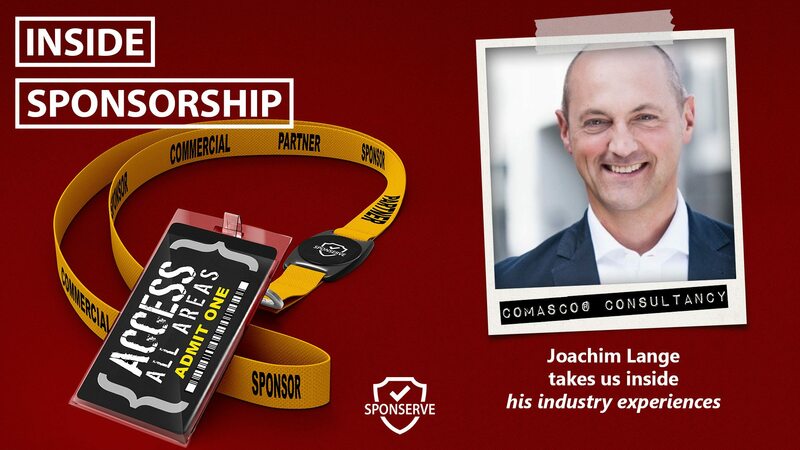 Joachim is the Managing Director at COMASCO® Consultancy and he has managed properties including the FIFA World Cup, UEFA Champions League, Formula One, World Rally Championship and selected German Football clubs. He has a broad range of capabilities as well including sponsorship marketing and sales, strategic planning, partnership management, contract negotiations, brand experiences, digital and social media, event management, measurement and analytics. If you want to connect with Joachim, you can do so using jl at comasco.de or find him on LinkedIn. Also in the show, I mention the upcoming Virtual Sponsorship Summit and you can learn more, and sign-up, at www.sponsorshipcollective.com/sponsorship-summit. Mark Thompson also joins the show to discuss his latest blog which discusses a common industry challenge, that of valuing benefits.